Vinyl building products has quickly becoming a strong and highly durable option for siding, window trims, decks, sheds, and fencing. PVC is a waterproof, eco-friendly, and maintenance free fencing option that will be sure to bring the wow factor to your outdoor living area. 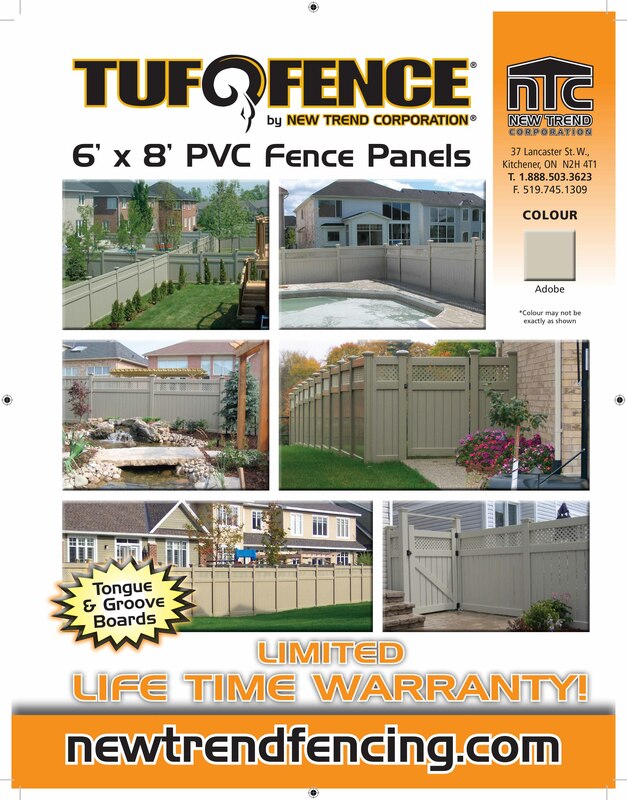 Tuf-Fence®" vinyl fencing is a NON-RECYCLED (virgin) vinyl that comes with a LIFETIME TRANSFERRABLE warranty. It is engineered to withstand the North American climate extreme and it provides a carefree outdoor living environment that is designed to last. Guaranteed not to fade or crack. The only maintenance you may need to do is to hose it down if it gets dirty. Comes in a full privacy and semi privacy with a lattice insert. THE STRONGEST VINYL FENCING YOU CAN GET!! !